Richard Ayres opera Peter Pan receives its UK premiere tonight (16 May 2015) when Welsh National Opera (WNO) performs it in Cardiff in a production directed by Keith Warner, conducted by Erik Nielsen with counter-tenor Iestyn Morris in the title role, a role which he created 18 month ago at the work's premiere in Stuttgart. I caught up with Iestyn, on a day off between final rehearsals, to talk both about what audiences can expect from this operatic version of such an iconic story and how contemporary opera has come to play a significant role in his career. 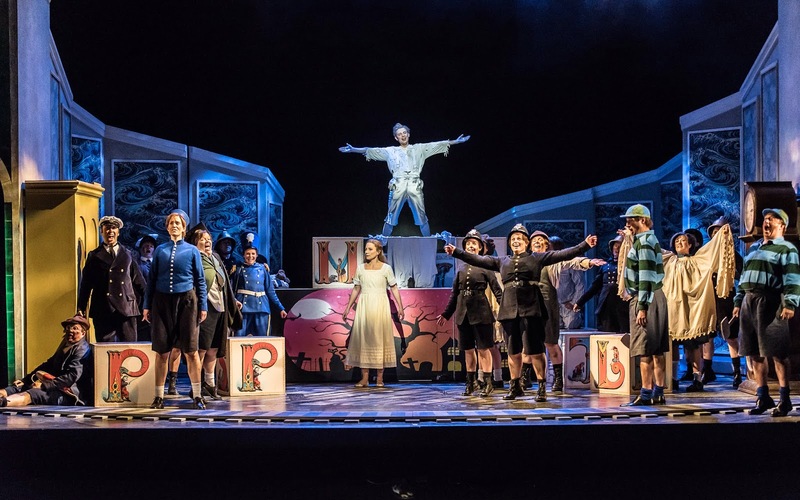 With a libretto by Lavinia Greenlaw, the opera is of course, based on the classic J.M Barrie story. In fact, it turns out the story's iconic status, at least in the UK, was a bit of a problem. 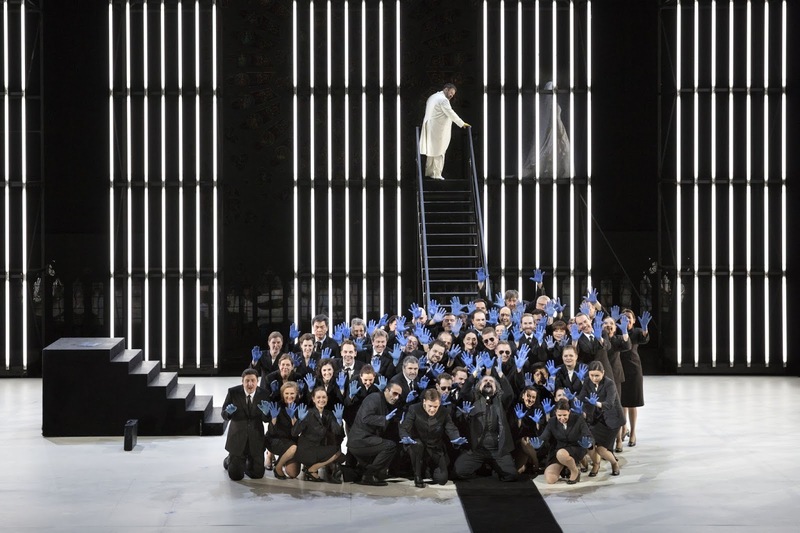 Richard Ayre's opera was originally a co-commission between Stuttgart Opera, WNO and Berlin's Komische Oper, with the work premiering in German in Stuttgart. But when Stuttgart's production was revealed (you can see more images on the production's page on their website), WNO felt that the dramaturgy was too continental in style and did not reference the British heritage of the story. As this was an opera being aimed at family audiences, it was decided to bring in Keith Warner to direct and in fact it will be Warner's production which travels to Berlin, though Stuttgart's production still exists and is returning next season again with Iestyn Morris. But it is not just a case of two different productions, the WNO performances are in English (rather than the German used in Stuttgart), and Richard Ayres has tweaked the opera since the premiere. 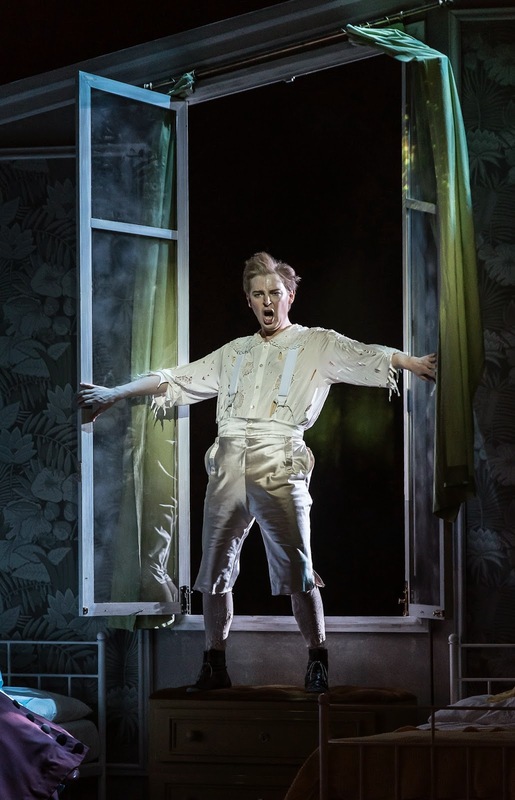 So Iestyn Morris has two different versions of the same opera, in two different languages with two different productions, each with a very different set of flying constraints. So no problems there. In fact when talking to him, Iestyn seemed remarkably sanguine about the whole thing, but then I suppose that a singer who spends a lot of time singing baroque opera must get used to the vagaries of versions, editions and languages. To Iestyn, having these two very different productions is a good thing, after all the holy grail of any new opera is that it passes into the repertory. He suggests that it is also helpful that Richard Ayres' agreed to revise the work, this leads to a discussion about revisions in opera and Iestyn points out that very few of our historical operatic masterpieces were created without revisions. But nowadays there seems to be something mentality that once delivered, a work is not revised, though there is indeed little financial incentive for a composer to do revisions. You can hear snippets of the first version on the Stuttgart Opera website, and it does indeed sound interestingly approachable. Iestyn says that he feels Richard Ayres' music rather references film music, and Richard Ayres has the gift of being able to write melodies which you think you already know. The result is contemporary, yet approachable, creating a new melodic world suitable for the family audience which the opera is aimed at, but not simplistic. In Iestyn's words, Richard Ayres tends to create a musical device then brutally change it so that the music is more stream of consciousness. 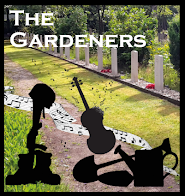 For Iestyn the music really reacts to the drama, and you never feel you have too much of one idea. Let us hope audiences agree. 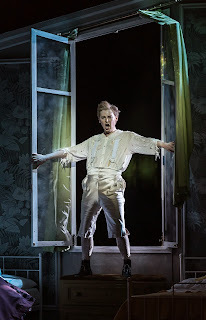 As a boy treble, Iestyn sang Miles in ENO's production of Britten's Turn of the Screw conducted by Steuart Bedford, a production which travelled to La Fenice in Venice. After a degree in mechanical engineering at Bristol, he went on the opera course at Guildhall School of Music and Drama, and became a Britten-Pears Young Artist. His career since then has successfully mingled singing baroque opera for organisations such as English Touring Opera, De Nederlandse Opera and Teater Basel, with doing contemporary pieces. Iestyn sang in Torsten Rasch's Duchess of Malfi which was premiered in a co-production between ENO and Punchdrunk, Jonathan Dove's Little Green Swallow, and Gerald Barry's The Triumph of Pleasure. I ask him whether doing contemporary work was deliberate policy, but he admits that most is pure serendipity and says that most people end up planning their career by hindsight. He also points out that contemporary opera has always been something of a calling card, getting his foot in the door. He first worked with ENO on Torsten Rasch's Duchess of Malfi and during rehearsals was booked to return to singing in Monteverdi's The Return of Ulysses. This has very much ended up with him alternating years of early and years of modern opera, but he is also interested in closing the gap between the two. Iestyn enjoys the fact people are waking up to the fact that a counter-tenor can sing anything, and he enjoys the diversity in his career. Just before work started on Peter Pan he spent a week on Bach with performances of the St John Passion and the B Minor Mass. After the run of Peter Pan has finished, Iestyn will be travelling to Poland for a baroque festival, where he will be singing Vivaldi's Stabat Mater and Bach cantatas. Iestyn has regular links with Polish festivals, through the contacts he made whilst at the Guildhall School of Music and Drama; or as he puts it, all the Polish harpsichordists at college went home and started festivals. You can catch Iestyn in action (as Handel's Orlando) at 4th international festival of early music, in the Branicki Palace, Bialystok, Poland in 2012 on YouTube (it is worth a look not just for Iestyn's singing, but for the lovely 18th century interior). Besides bringing a balance between ancient and modern, these performances also bring a balance of scale. Iestyn finds it lovely to have small concerts his diary as well as the larger scale work, and this sense of balance in his performing career is one which he returns to in our conversations, citing keeping a balance between more chamber-scale work and larger orchestral work. There is the problem of pigeon-holing too, as there is a danger that we tend to classify singers too easily and he cites the example of counter-tenor Lawrence Zazzo who has a very wide range indeed but who only gets engaged to singing Handel in the UK. Iestyn feels that to be successful in contemporary opera, a singer has to be able to sell a role; you have to be a brilliant singer and actor. In new music, the singers can't just hit the notes they have to work at making music from it so that you convince an audience on first hearing. From Iestyn's point of view the result can be very exciting, as well as having the advantages that you get more rehearsal time and that the acting style can be more naturalistic. Working in contemporary music, many of Iestyn's projects have started off as quite small collaborations from which bigger things have grown. This sense of collaboration is important to him, as is the need to give a small project as much energy and commitment as a bigger one, and he goes on to talk of the horror of fantastic new music being given its first outing in an inexperienced production. Of course baroque arias are a challenge too, and to Iestyn everything has its own challenge. For him, many modern productions of opera seria are far too choreographed, directing the arias too much and not allowing space for the singers. 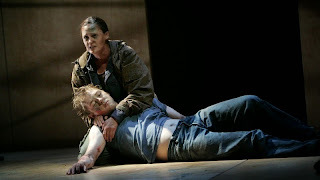 Often the opera production become about the director rather than the singers, and Iestyn talks ruefully of productions where the director is announced early and the casting announced very late. 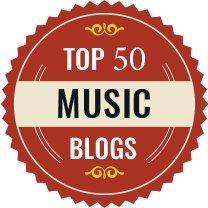 But the rewards are immense, after all the music is fantastic and when you can find dramatic solutions with modern relevance then it can be incredibly exciting for the audience and the singers. With contemporary music, the joy is different; there is a sense of ownership in the role, and you want everyone else to enjoy it. Our discussions then return to the gap in the middle, the range of 19th and early 20th century material which is only just being explored by counter-tenors. Iestyn has recorded a private demo CD of arias from trouser roles in 19th century operas and clearly such repertoire as the Rossini trouser roles or Bellini and Vaccai's operatic versions of the Romeo and Juliet story (with Romeo as a trouser role) interest him. He points out that contemporary manuscripts use the term contraltisti to describe the voice required, which seems to be neither contralto, or mezzo-soprano and that more research is needed in this area. There is a wide range of music possible for a counter-tenor singing trouser roles, all waiting to be explored. For Iestyn, the advantage of being a counter-tenor today is that whilst there are as many different types of counter-tenor voice as there are soprano voices, sopranos tend to get pigeon-holed in their type or fach, whereas counter-tenors get engaged to sing everything. And clearly Iestyn relishes the challenge. Song Festival. We talk a bit about the songs by Hubert Parry, which I admit that I don't know and Iestyn is most enthusiastic about them calling them perfectly written. He also mentions Schubert's Die Winterreise as a work which interests him, saying that he will tackle one some day; an intriguing prospect indeed. Richard Ayre's Peter Pan is being performed by WNO in Cardiff (16-31 May 2015), Birmingham (11 June 2015) and Royal Opera House, London (25,26 June). And Iestyn Morris is returning to the role in Stuttgart in December.